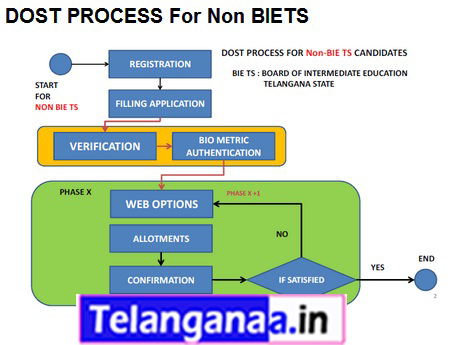 TS Degree Seat Allotment Download 2018 - Telangana TS Degree 1st Phase (Seat Allotment Order) On-line Through Official website (dost.cgg.gov.in).The Last Date for registration & online web options for colleges is ended on 09th June with a late fee of Rs.200. The College Seat Allotment will be available today.Direct link for downloading the Degree DOST Seat Allotmentis uploaded below of the page. Telangana State Degree Online Services (DOST) First Seat Allotment List 2018 Declared Today At Board Official Website . For First Seat Allotment Nearly 1.5 lakh students have registered against over 4 lakh seats on offer in the state degree colleges. 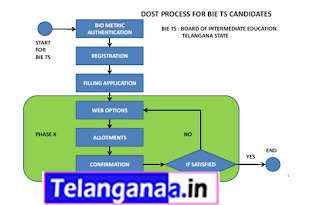 Addressing low numbers, officials said that there is Large number of students who had appeared for supplementary exams and they will also participate in 2nd and 3rd round of admissions.Degree Online Services of Telangana (DOST) seat allotment 2018 covers over 1200 colleges and six universities, including Palamuru University, Satavahana University, Telangana University, Mahatma Gandhi University, Kakatiya University, & Osmania University. If a students is not satisfied with alloted College in the first phase, he/she can give the fresh options in consequent phases, but they will lose their earlier allotted seat in case they are allotted a new seat. The 2nd phase web options can be filled from 21 to 24 June, while the second seat allotment list will be out on 28 June. DOST Degree Seat Allotment 2018: Download Degree Online Services Telangana (DOST) College Allotment Order @ official website dost.cgg.gov.in. Intermediate completed candidates successfully submitted their applications, application fee, universities course wise collects web options before last date.Now all thsoe candidates are waiting for the seat allocation of colleges.Phase 1 Seat allocation will be published by the DOST on June 10, 2018.Direct Link to download the college seat Allotment is given at the bottom of the page.